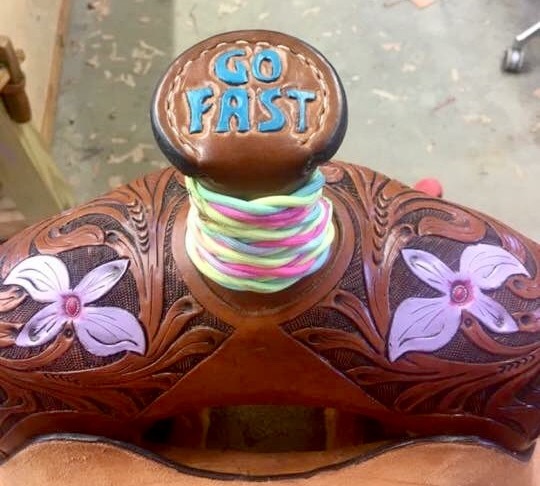 All saddles are built with both the horse and rider in mind. 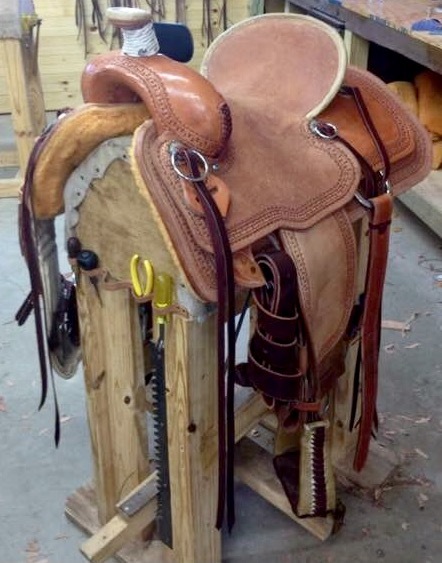 Our saddles are built on quality trees that carry a lifetime warranty under normal intended use. 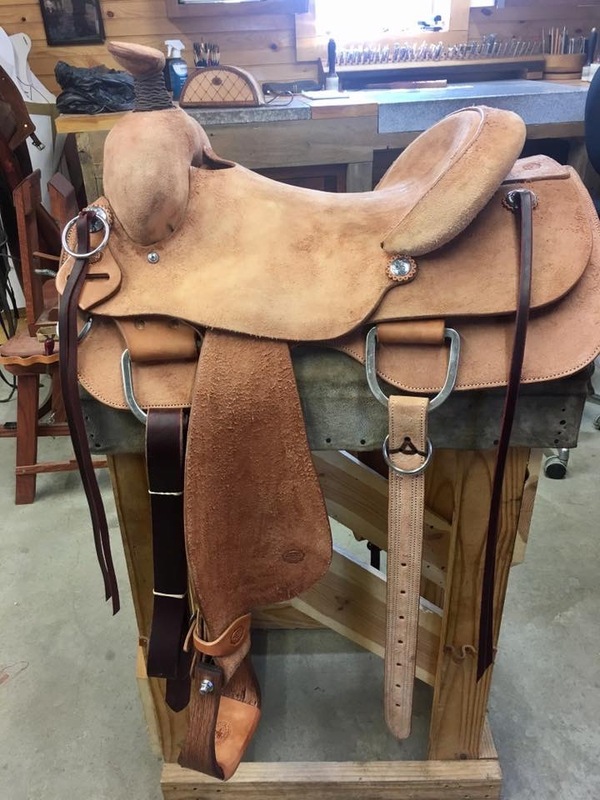 Each saddle is built one at a time using Hermann Oak leather. 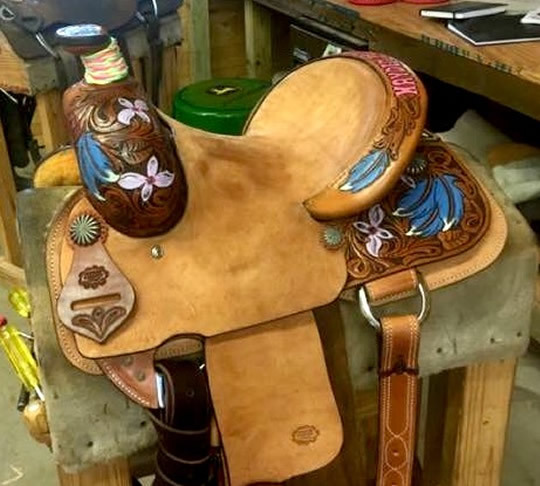 Our saddles are made to not only look good, but to also hold up under many years of use. 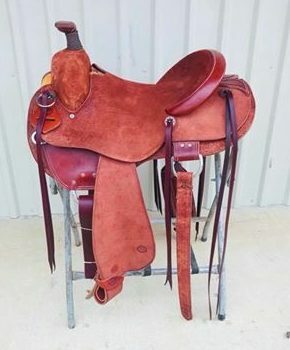 Whether you need a saddle for everyday use in the pasture, or for the arena, we can build one to fit your needs. built on the tree of your choice with either slotted stainless or brass conchos and leather strings, or German silver screw down conchos. 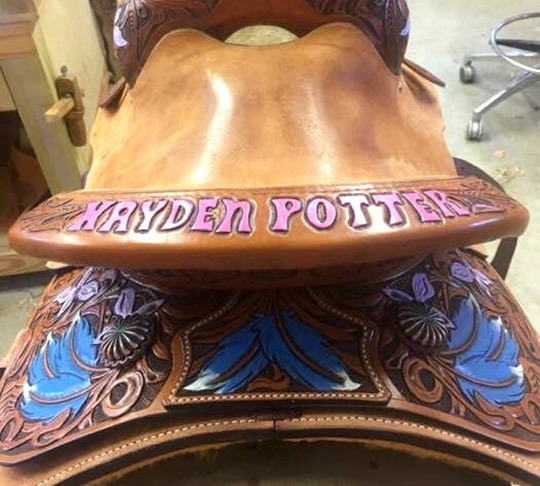 All saddles come with leather tie strap and off strap or off billet along with flank billets and flank cinch.